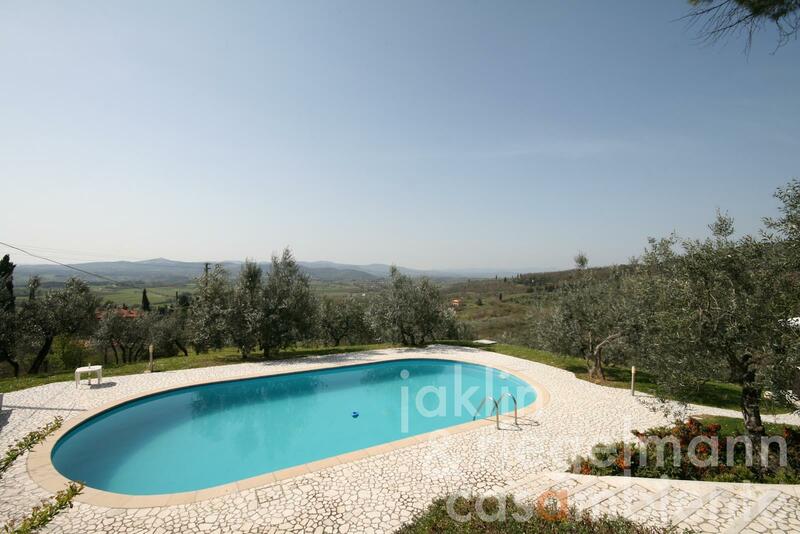 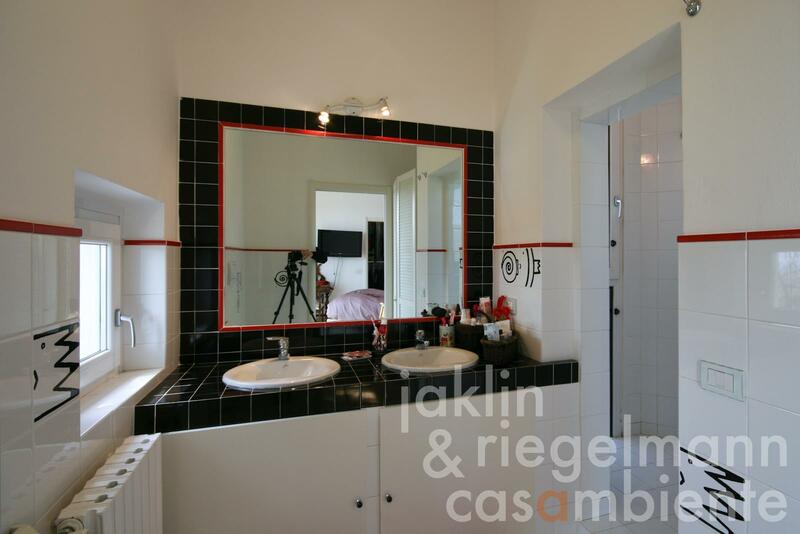 Very well-kept and light flooded Tuscan villa for sale with swimming pool and olive grove. 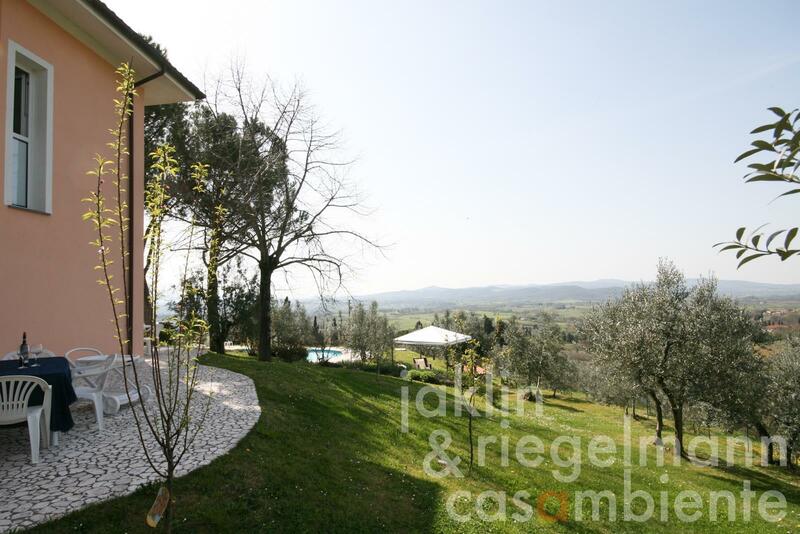 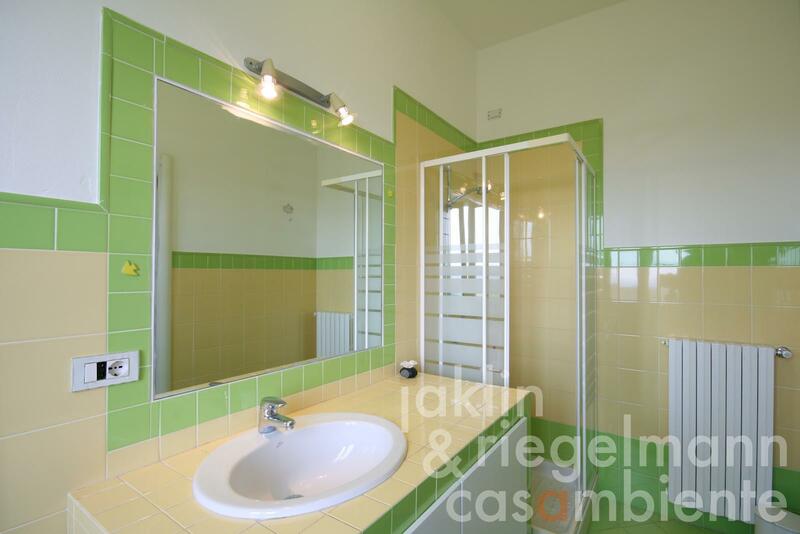 The property is located in a very panoramic setting below a small hamlet in the province of Arezzo in Tuscany. The villa is surrounded by a well-tended and fully fenced garden with automatic gate. The villa was restored and modernised only a few years ago and the swimming pool, which is lined with Travertine tiles, was skilfully embedded in the garden. 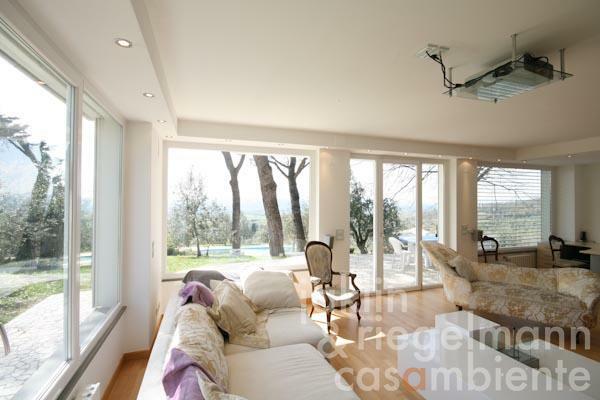 The main entrance on the ground floor opens through a hall into a spacious and fully-glazed living- and dining area with French doors, which offer a grand panoramic view across the hills of the Valdarno, the Valdichiana and until the Monte Amiata and Monte Cetona. 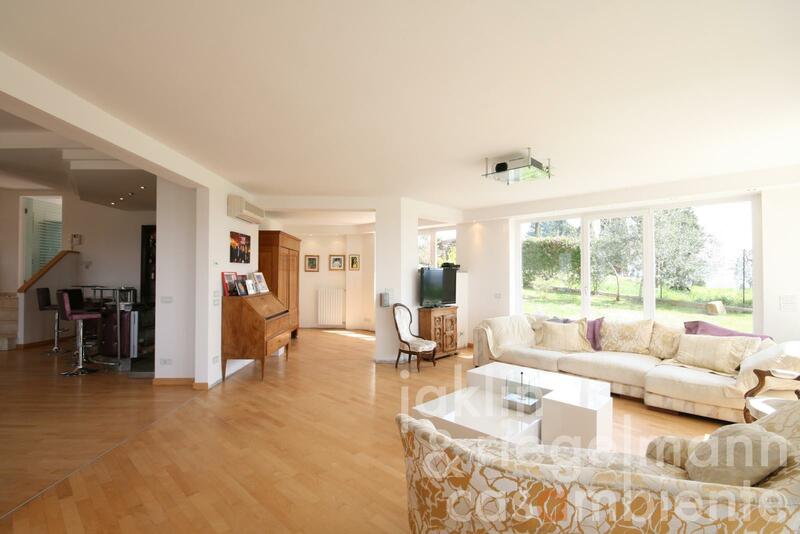 From here, four steps lead into a kitchen with adjacent laundry. 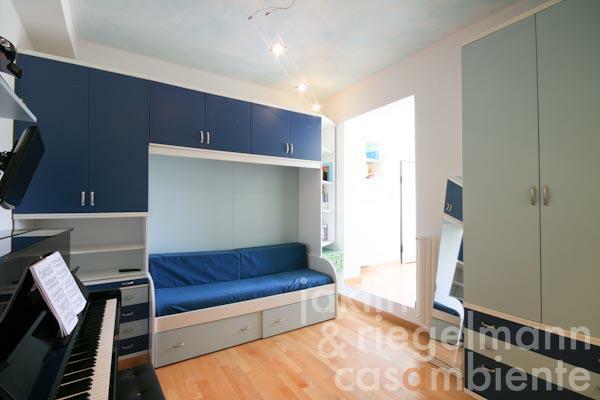 A storage room and guest WC complete the ground floor. Stairs lead from the hall to the first floor with three bedrooms, of which two feature balconies, three bathrooms, studio, as well as a generous walk-in wardrobe and storage room. The provincial capital Arezzo with all shopping facilities, fashion stores, banks, cultural activities, and a hospital is only about 10 km away from the property for sale. 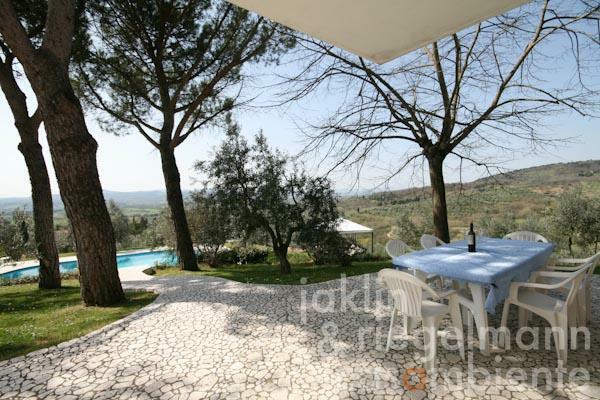 Public transport is also available (about 18 minutes to Arezzo). 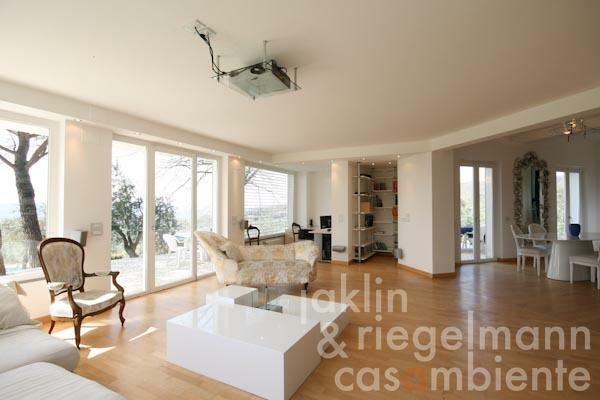 A special feature is the possibility to build additional 200 m² living area on one level below the swimming pool. A building project has already been drawn up. 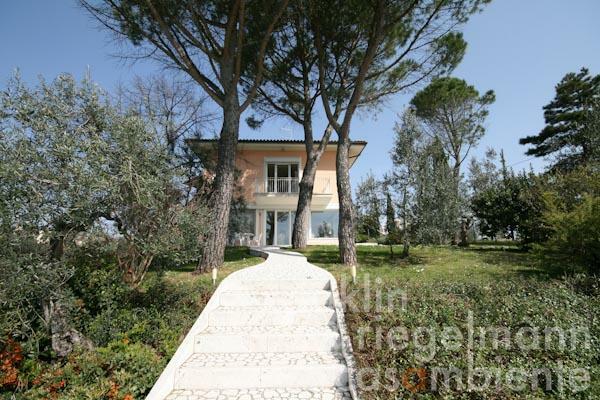 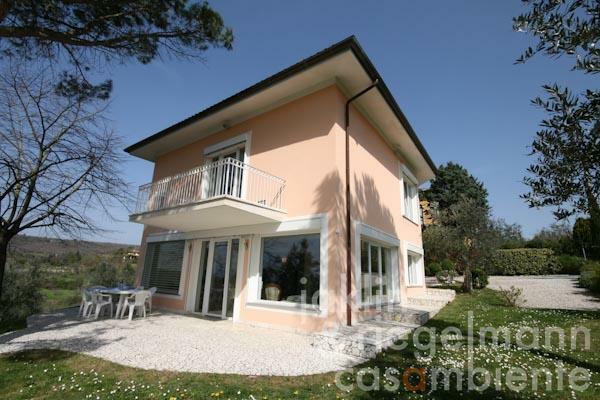 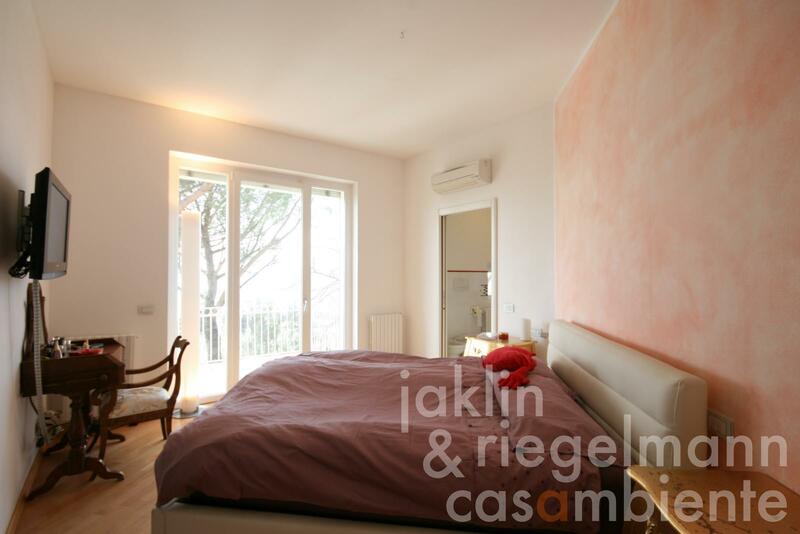 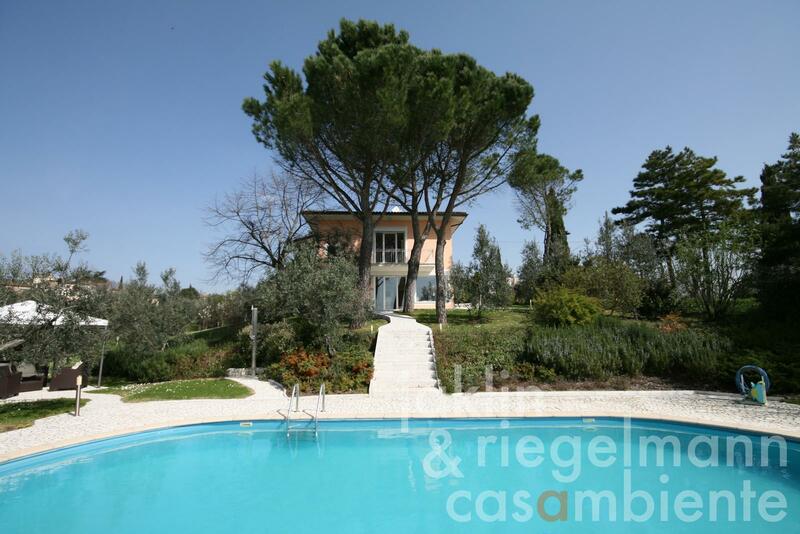 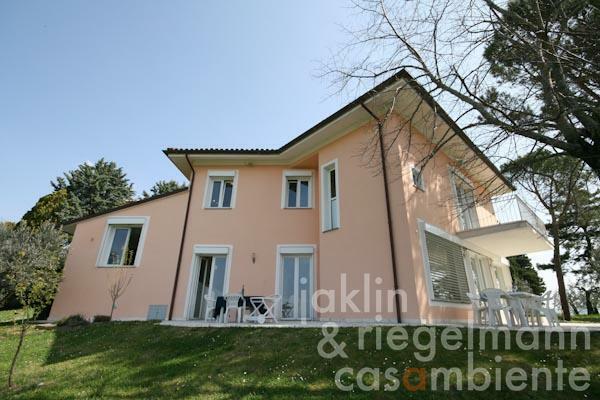 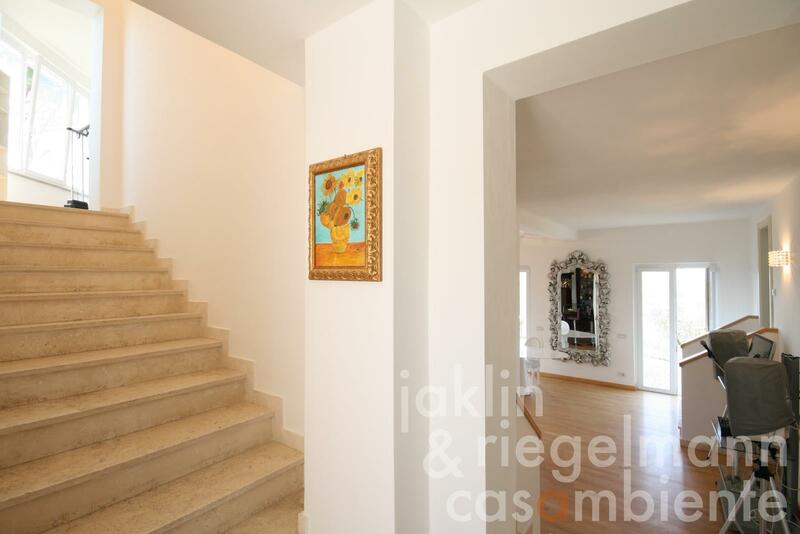 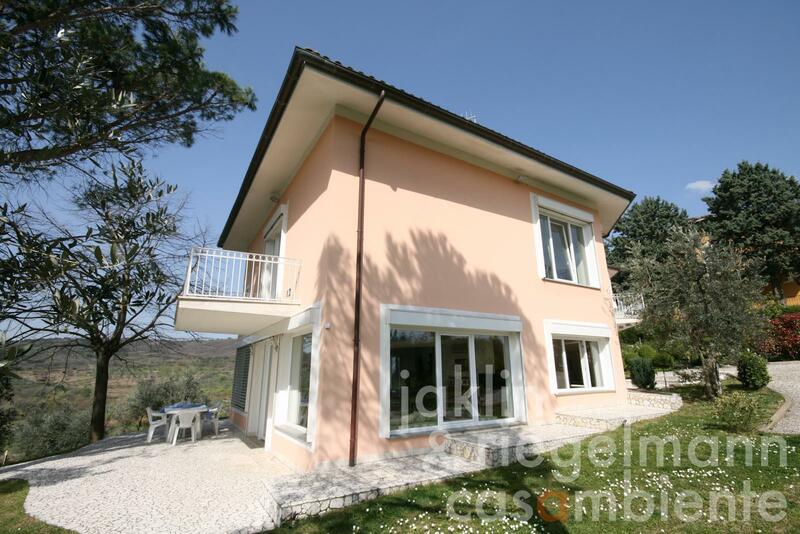 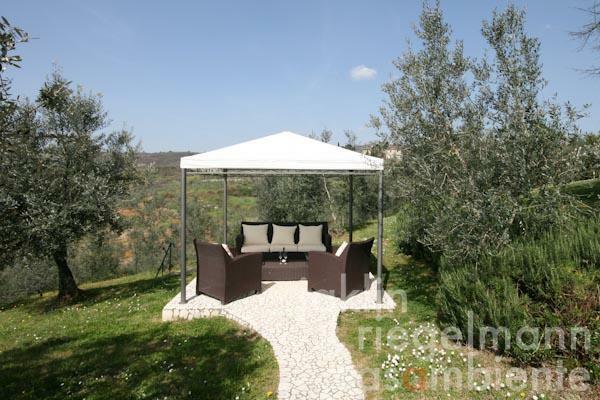 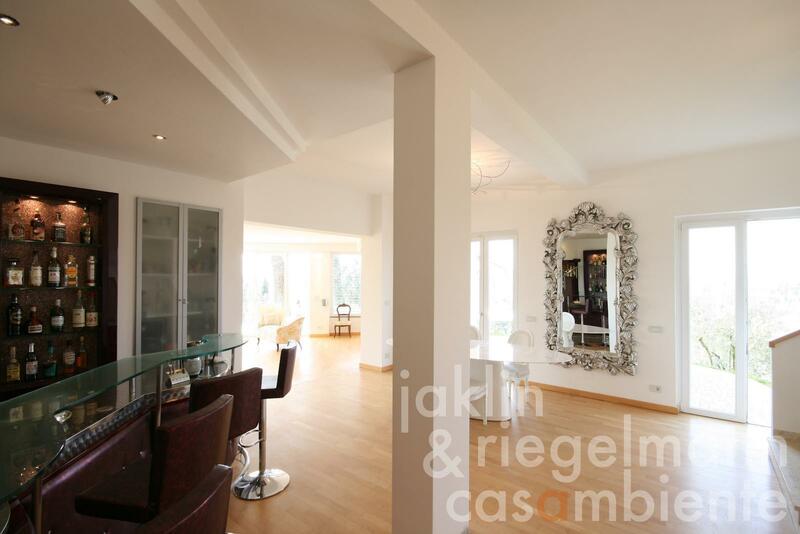 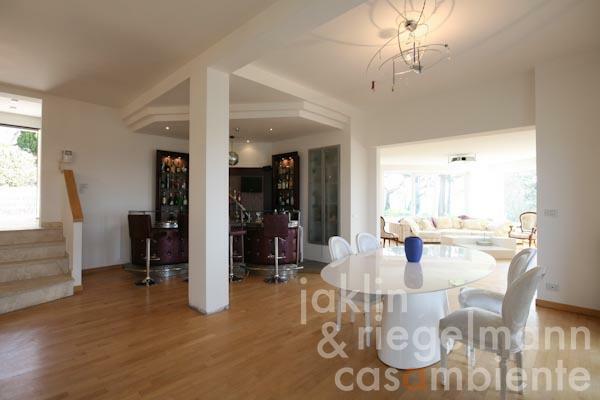 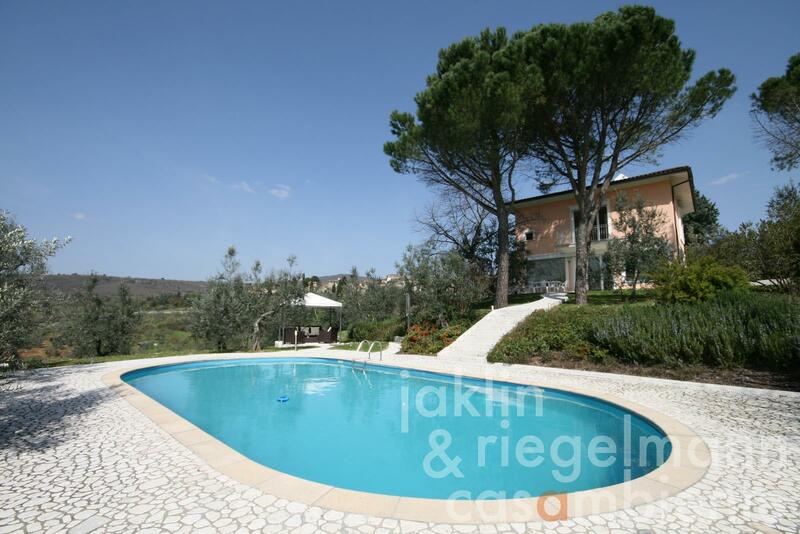 3,306 m² very well-kept Garden with about 2,000 m² olive grove. 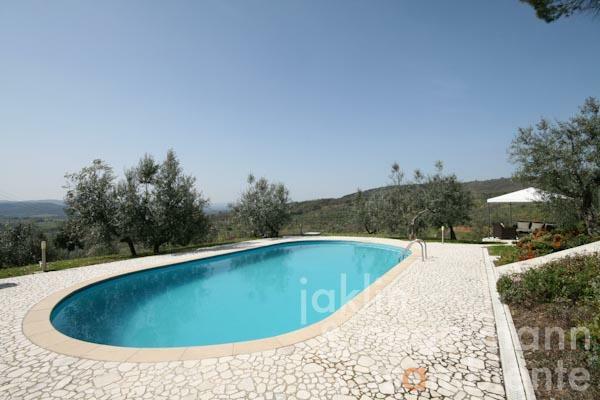 Electricity, mains water, own well water, central heating, air conditioning, gas connection, telephone, broadband internet access, satellite-TV, automatic gate, swimming pool, balcony, private parking, terrace, olive grove, garden.